Your application will be routed to the Exam Analyst listed on the job posting and he/she will also notify you in regards to your status in the recruitment process. Am I required to list experience for each job (classification title) I have held separately? Yes, you should list separately all the experience for each classification title (job) held over the past ten years. Applications must be completed in sufficient detail and clarity to permit a comprehensive review and evaluation. Any experience omitted from the application cannot be considered. Can anyone apply for “Promotional Opportunities”? No, the “Promotional and Transfer Opportunities” shown on the website are open only to Los Angeles County employees. All other persons may only apply for open competitive opportunities on the Job Opportunities page. Can I apply for jobs in certain locations? Yes. It is important that you mark on the application the type of work and the locations you prefer. As vacancies occur in different locations, the names of qualified applicants are referred. Can I submit an application for someone else using my account? No, each individual applicant must create their own account. Can I use an email account of another applicant? No, you should never use the email address of another applicant. To do so may result in disqualification from the employment process. Sharing email accounts can put the confidentiality of your application at risk and create confusion as to the identity of the applicant. Can you notify me when a particular job opens? If our current openings do not include jobs you are interested in at this time, you may complete a “Job Interest” request. There are two ways to sign up for e-mail notifications -- you can request job notifications by specific job titles; or you can request job notifications by category. You will be notified by e-mail once the position(s) you are interested in is open for recruitment. Yes, the system requires an email address as part of the log-in identification. Also, your email address allows you to be notified of your application receipt and you may receive additional examination information. Do you offer special services for persons with disabilities? We will provide reasonable testing accommodations for applicants with disabilities. Departments have designated ADA coordinator’s that will handle special accommodations. Applicants are instructed to contact the ADA coordinator on their schedule notice if they require testing accommodations. How can I update my application materials? An applicant can update their master core account profile contact info by clicking on the Profile link and editing Contact Information, Personal Information, Work Experience, Education, Additional Information (Certificates and Licenses, Skills, Languages, Supplemental Information) and References. With the exception of the applicant email address, these updates DO NOT automatically translate into previously submitted applications. Rather, the updates are used as a foundation for the next time the candidate submits an application. How do I apply online or create an account? View our list of employment opportunities. Once you find a position of interest, click on the “Apply” option located to the right of the job title. You will then create an account that must include a unique username and password. How do I keep informed about available jobs? Go to our Employment page. If you are interested in a job for which the County is not currently recruiting for, complete the on-line job interest card by clicking on the class specification title and then on the 'Notify me when this position becomes available' link. After you have submitted your online application, the system will display a confirmation page acknowledging your application has been submitted. You will also receive an email confirmation from noreply@governmentjobs.com. Additionally, you can check the status of your application to verify if your application has been received. For more details, please see the question If I apply to an exam online, how can I find out where I am in the exam process? How long will my sitting/session remain active for me to complete the application? You have to remain active within any session, otherwise your session will timeout after 60 minutes of inactivity (not moving to the next screen). Note: Even if you are entering your experience and it takes you longer than 60 minutes, your session will timeout. How secure is my personal information submitted through your online system? How will I receive my notifications? You will receive notification via e-mail or U.S. mail. When creating an on-line account, you must enter your email address. Make sure the e-mail address and home address you enter is accurate and current. Entering an incorrect or invalid e-mail or mailing address will cause your notice to be returned and delay your notification. I am having difficulties with accessing the “new system” from my computer? Please check to see if your computer has one of the supported browsers. I do not see the job that I am interested in today. Does the County have more career opportunities? You can only apply for current job listings; however, you are encouraged to sign up for a Job Interest Card with the County of Los Angeles. This feature provides you with the opportunity to select job categories that interest you, which will generate automatic emails when a new job becomes available. You may have used the Back button on your internet browser (located on your toolbar) which removes all data. To avoid losing your information it is imperative that you save your information periodically. For each step, the buttons on the bottom allow you to save or discard your work on this entry. Although your typing is periodically automatically saved, it is good practice to click on the Save button. The Cancel button discards any changes you have made since the last save. For some entries, the Remove link is present. It deletes the current entry (such as a previous job), after a confirmation. Once deleted, the data cannot be recovered. The last time that the entry was saved is also displayed at the top. If I apply to an exam online, how can I find out where I am in the exam process? You will be able to see your exam status online once you log in to your online account at the Applications page. To view the status, you can click on your user name on the upper right hand corner and click on “Applications & Status” link. If I create an account and I input all of my information, is it saved in the system? Can I access the information at another time? Yes, the information you enter into the account that you create is saved in the system and may be updated at any time. However, once you submit an on-line application for an open position, you will no longer be able to update the information on that particular application. If I submit an application online, am I required to submit a paper application? No, you do not need to submit a duplicate paper application if you have already submitted your application on-line. However, any documentation that may be required to complete your application must be submitted in accordance with the instructions included on the job posting. If I submit multiple applications, will Human Resources review all of them? No, only the last application received by the deadline will be reviewed. May I use my County email address as my contact email address? Yes, if you are a County employee, you may use your County e-mail as your contact email address. However, we recommend using a personal email address. The job I am applying for only accepts online applications. 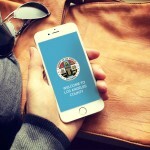 Does Los Angeles County offer internet access to the public? Free internet access is available for you to apply for Los Angeles County jobs. Locations include Los Angeles County Public Library branches or One-Stop Centers. What do I do if I did not receive my email notice for the job announcement I applied to? If you do not receive your email notice after submitting an application, check your spam or junk mail and verify the email address on your account. If the email address on your account is incorrect, please correct it. Note: Notices will either be emailed or mailed to the address you have on file depending on the notice type. Notices regarding exam results or eligibility will be mailed to your mailing address. If you forgot your username, navigate to the Login page and click on the “Forgot Username” link and enter your email address that was used to sign up. Your username will be delivered to your email address. What requirements must I meet to be eligible for recruitment? To be eligible for recruitment you must meet the minimum or selection requirements listed on the job posting bulletin. When I apply online, do I need to provide information for all of my past work experience? Yes, all applicants are required to provide employment experience for the past 10 years to allow a thorough review. List the most recent job information first and then list separately all other jobs held and the job/payroll titles and duties for each. Include volunteer experience and any periods of unemployment. Who do I call if I want to speak with someone about the job/exam I applied for? If your question is related to the job/exam itself, contact the Exam Analyst and refer to the job posting to find the contact information. Why do I need to enter a Social Security Number? The system uses your Social Security Number as a unique ID and it is required for processing your application. Using an incorrect number will cause delays. Applying on-line is convenient and easy and you will receive immediate notification of application receipt each time you apply. The information you enter on your on-line application is saved and can be used to complete applications for future job openings. Any necessary amendments, such as experience or education, can be updated immediately and the changes are saved in your account. You will also receive status notifications via e-mail.